Welcome to our page relating to How to Get a Grant of Probate in Cambridgeshire. We are a firm who specialise in dealing with probate and estate administration work. At Seatons, we offer a helpful and friendly service with low fees that provide exceptional value for money. Please call us today for a free no obligation chat on 0800 3 10 11 12 or use our online enquiry form. A Grant of Probate provides legal authority for Personal Representatives to administer and distribute the deceased’s estate. Without this document, banks, Building Societies, insurance companies and other similar organisations will not hand over the deceased’s assets. If you have recently lost a close relative, and have been named executor of their estate, it is important to have a basic knowledge of probate law in order to understand and implement your responsibilities lawfully and effectively. This information will provide a brief overview of how to get a Grant of Probate. Grant of Probate – Probate is a Grant of Representation provided when a will has been created and an executor has been appointed. It is evidence of the executor’s authority to manage the deceased’s estate with authority stemming from the Will itself. By choosing Seatons Solicitors, we can sort all of this out for you to make the administration process as smooth as possible. There are various forms to complete, some of which are quite lengthy to obtain a Grant of Probate. If a Personal Representative applies without using a Solicitor, they will need to obtain all the appropriate forms and then fully and accurately complete them. The Court will want to interview the personal representative making the application for the Grant of Probate. There are different tax forms to complete depending on the value of the estate and whether or not inheritance tax is payable. If no inheritance tax is payable then you will need to complete IHT 205. If inheritance tax is payable you will need to complete an IHT400 form although ideally you should seek legal advice at that stage. Once the Grant of Probate forms have been completed and signed, they will need to be sent to the Court. Upon receiving the Grant of Probate application, the Court will want to check it through and contact you further if any questions need to be asked. The Court might want some further information or other documents to be filed or may need to contact other people. If you have instructed a firm of solicitors such as ourselves to deal with the legal work then you will not have to attend an interview as we will sort this all out for you. However, if you are dealing with the application for a Grant of Probate yourself then the Court may write to you and ask you to attend an interview at the court location. They will ask you various questions and check the information you have put on the Grant of Probate form is correct. They will then ask you to sign and swear the form in front of the interviewing officer on a religious book of your choice. You will need to take along to the interview some photographic identification such as a driving licence or passport. If the application is successful, the Court will then send out in the post the original Grant of Probate with a number of sealed copies and return the original death certificate. The Personal Representative will then have legal authority to administer and act on behalf of the deceased’s estate. The Personal Representative will be able to contact any organisation where the deceased held assets and legally arrange for them to be released. 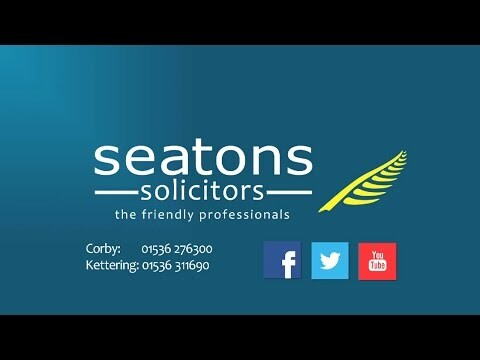 I’m Adrian Chambers and specialise in Probate and Estate matters in Cambridgeshire. We aim to provide our clients with an outstanding legal service. We will help and support you and most importantly we work hard for you. Distance not a problem.